The report on scientific and scientific-organizational activities of the Institute in 2016 was prepared. 21 грудня 2016 р. о 14.00 на засіданні спеціалізованої ради Д 26.205.01 в ІКД НАН України та ДКА України відбувся захист дисертації на здобуття наукового ступеня кандидата технічних наук (спеціальність 05.07.12 – дистанційні аерокосмічні дослідження) Яйлимова Богдана Ялкаповича «Автоматизована інформаційна технологія картографування земного покриву на основі методів та моделей злиття супутникових даних». Euronews channel on this week within the Futuris program devoted to promising scientific and technological developments, shows the international projects, associated with global Earth observation from space. One of these projects (FP7 SIGMA) is executed with the participation of Ukraine, in particular the of Space Research Institute NAS Ukraine and SSA Ukraine. 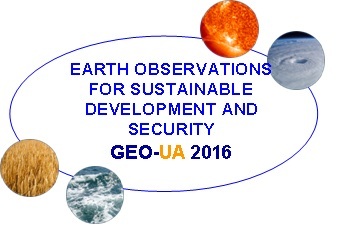 Fifth International Conference "Earth observations for sustainable development and security"
From 10 to 14 of October 2016 in Kiev on the premices of NAS of Ukraine and NTU "KPI named Igor Sikorsky" Fifth International Conference "Aerospace Observations for Sustainable Development and Security» (GEO-UA 2016) in the context of the Global Agricultural Satellite Monitoring Initiative GEOGLAM was held. The conference from Ukrainian side was organized by Space Research Institute of NASU-SSAU and NTU "KPI named Igor Sikorsky". Within the conference the symposium on European Space Agency project «Sentinel-2 for Agriculture», the annual meeting on the JECAM project of GEOGLAM program and an international meeting on the "SIGMA" project (Seventh Framework Programme supported by the European Commission) were held. 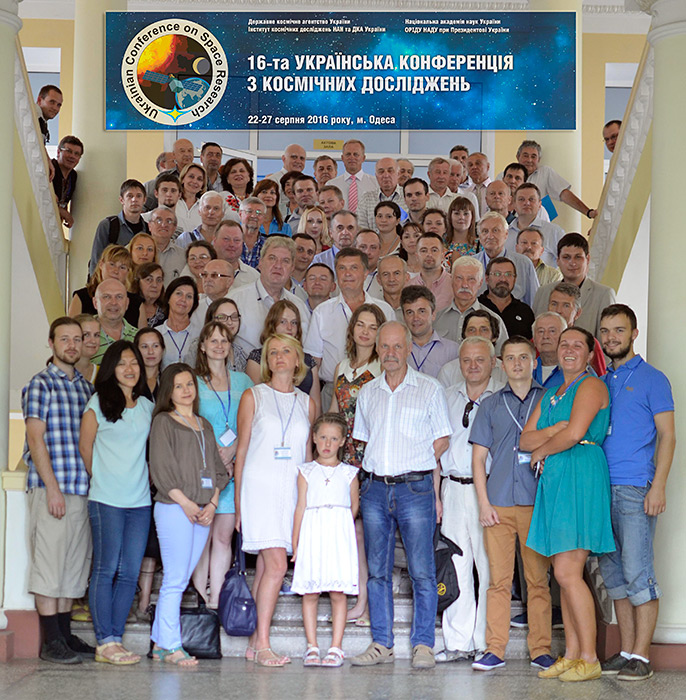 16th Ukrainian Conference on Space Research was held in Odessa during August 22–27, 2016. It was organized by Space Research Institute NAS of Ukraine and SSA of Ukraine under the State Space Agency of Ukraine (SSAU), National Academy of Sciences of Ukraine (NASU) assistance and the PJSC «ELMІZ» financial support. The Conference was attended by 150 experts from 44 Ukrainian organizations and 6 organizations from other countries. Leading scientists of the Institutes of NASU, space industry enterprises, universities, astronomical observatories, specialized institutions, as well as foreign participants from Bulgaria, Georgia, Israel, Poland and Russia took part in the event.